On Nov. 19, Sarah Susanka’s 2,450-square-foot Not So Big (NSB) Showhouse in Libertyville, Ill., will open to the public for six months. The house is part of SchoolStreet Homes, a community of 26 single-family homes and 15 lofts. residential architect’s Meghan Drueding spoke with Susanka and SchoolStreet’s developer, John McLinden. ra: What sets SchoolStreet apart from other developments? jm: Three key things: One, we purchased the property out of foreclosure, so we have a price advantage. 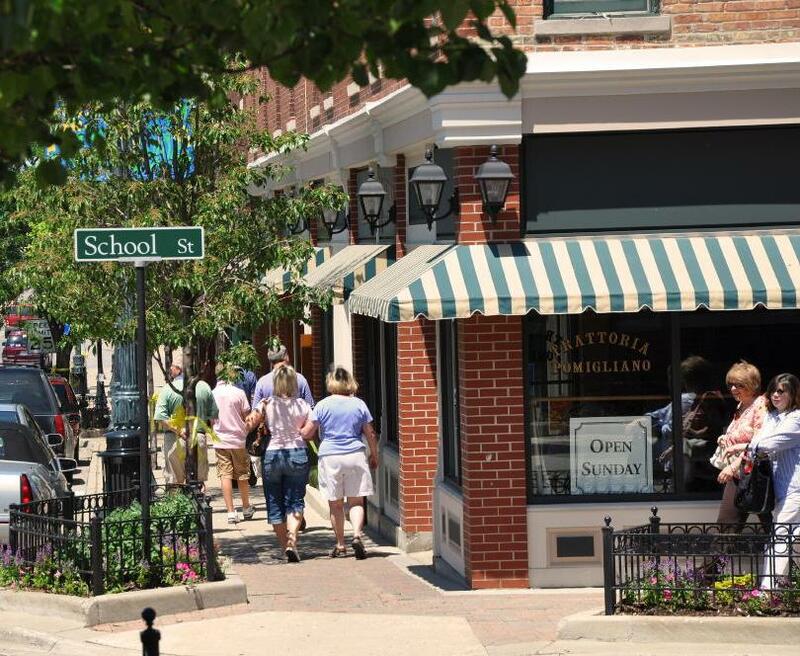 Two, we’re adjacent to fabulous, vibrant downtown Libertyville, a town of 22,000 people. Three, the product. We have an architect-guided process. We have architects on staff as well as working with different firms. ss: The quality of the architects is excellent. They’re not just giving lip service to design. A house can have less square footage, but it’s got to be better quality. John has 21 of 26 homes sold and has increased prices by 15 percent to 18 percent. Quality is what people are looking for, and a sense of community. ra: Sarah, how did you come to build the NSB Showhouse there? ss: I was looking for a developer who really got that quality and character are important. I told John my desire to do a show house that was available for the general public to go through. I did a show house at the International Builders’ Show, but nobody but the trade knew about the house. I wanted someplace where I could have a showcase that would be open at least six months, so that people could kick the tires. ra: What are some of the key design features of the NSB Showhouse? ss: The size [2,450 square feet] was very intentional. When downsizing comes up, the press goes to the far end of the spectrum and talks about tiny houses. A minute segment of the population is ever going to live in tiny houses. A big segment of the population is looking at 3,000- to 5,000-square-foot houses. They don’t want to go much smaller. I’m trying to show that if you eliminate the spaces you rarely use, you can actually have a house that lives large. I like to show a really, really comfortable 2,300- to 2,500-square-foot home. You make that home by eliminating formal living spaces, by having an “away room” where you can go to be quiet and get away. You have the home be accessible. You have it be close to downtown so you can age in place. One of the main floor plan ideas for the NSB Showhouse is that there is no formal dining room. You can take the dining table and move it into the library alcove and extend as needed. Also, there’s a lot of ceiling height variety, rather than walls, to indicate different spaces. And the stair tower becomes a light shaft from the third floor. jm: Libertyville is a pedestrian kind of town. Out of the New Urbanist playbook, the homes at SchoolStreet are positioned close to the street to encourage pedestrians. It really does that. There’s kind of a romance to a front porch … front porch parties have already started to break out. ss: In Libertyville, almost 30 years ago, people in the community started to focus on how to keep their Main Street vital. Its downtown doesn’t feel like a suburb. It feels like its own entity. It’s a cool place to come to. ra: Is the NSB Showhouse for sale? ss: In early 2012 the house will be released for sale and we will release the sale price then. But it will be open on weekends to the public for six months. We will have events where people can learn about SchoolStreet and the NSB house concept. Read more on this project in our sister magazine, EcoHome, or follow the included links to learn more about the Not So Big Showhouse and SchoolStreet Homes.